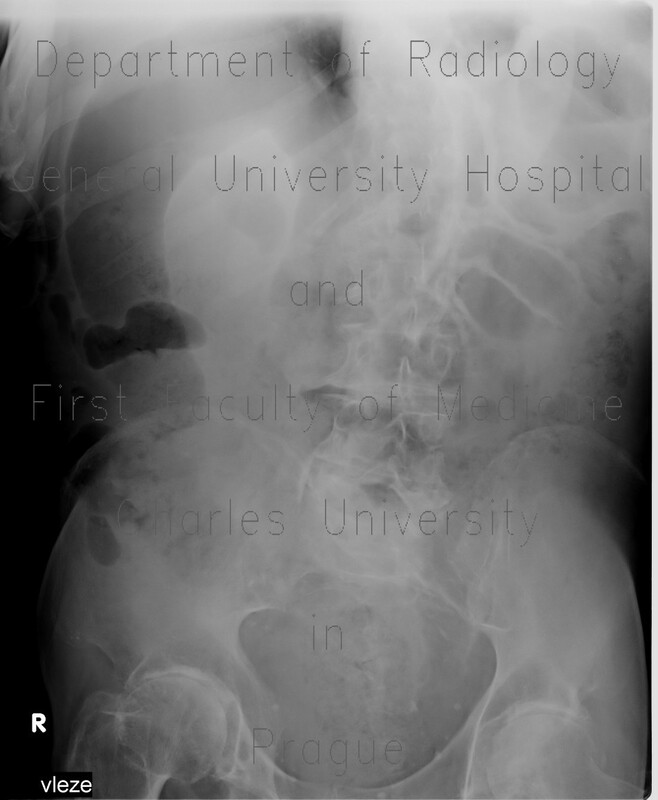 Plain abdominal radiograph shows that oral part of large bowel has tubular appearance with effacement of haustral folds. The entire large bowel has markedly thickened wall with enhancing inner layer and stranding of pericolic fat. This pattern is most typical of clostridium difficile colitis.